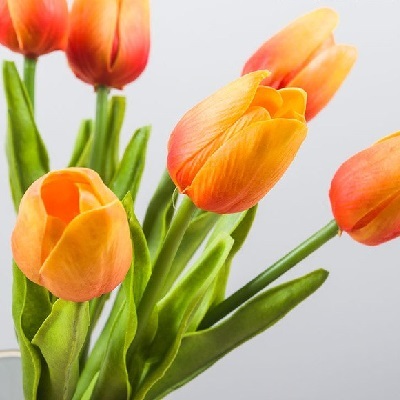 This Real Touch Tulip is a bit larger than the average tulip and boasts over 2 feet tall. Perfect if you are looking to place on an altar at church for your Spring wedding. Paired with our green tulip makes a gorgeous bouquet. Rent or own it, we cater to all.